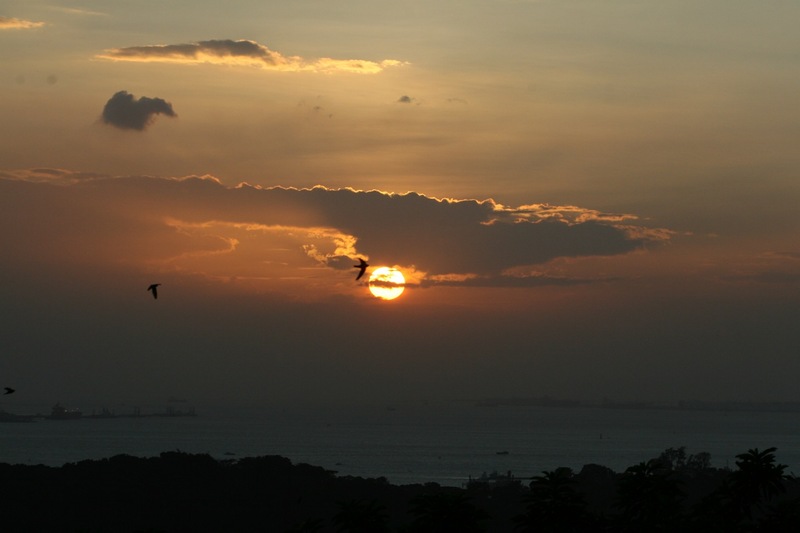 This sunset was taken from Faber Point, at 7:07:59pm on 17th January 2009, Mount Faber in Singapore, overlooking the southern part of Singapore. I was there with my alumni group, the Dragon Scout Group who were there at the top of Mount Faber, for the end point for their amazing race event. I would be writing up on the Dragon Scout Group Amazing Race 2009 soon ! Keep a look out here ! Meanwhile, do drop by my flickr for more photos of the sunset from Mount Faber ! So much beauty here…the silhouette of hills, the clouds, the birds(?). Very nice! Awesome shot!!! Really beautiful.. The sun behind clouds and different shades all over the sky.. really it looks so good…. Nice shot,looking great. In particular the deem sun behind clouds. Great job done! Thanks for dropping by here and leaving your kind comments ! I loved the sunset too ….. & yes ….. you spotted the birds ! Thanks for your kind comments ! Glad that you liked this sunset photo ! Thanks ! Do drop by often ! Thanks for your kind comments too ! Just pop by into my blog & flickr and you get lots of sunshine ! Yes, indeed, always love to take sunsets, Mother Nature is so beautiful and amazing ! Thanks for dropping by ! Glad that you like this photo ! Thanks for dropping by !!! It was a lovely sunset indeed, i was admiring the sunset while busily snapping away !